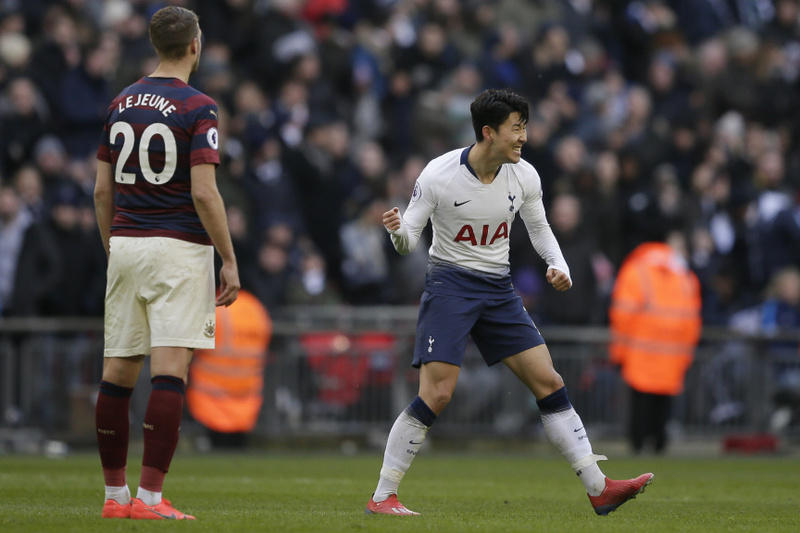 LONDON (AP) — Son Heung-min scored for the second straight game since returning from the Asian Cup to earn Tottenham a 1-0 win over Newcastle in the Premier League on Saturday, lifting the team into second place above Manchester City. The South Korea star's shot from the edge of the area looked harmless, but it went through the grasp of Newcastle goalkeeper Martin Dubravka and into the middle of the goal in the 83rd minute. It was Tottenham's third straight victory in the league, with the winning goal in each of the games — against Fulham, Watford and now Newcastle — coming in the final minutes. Son had an earlier-than-expected return from the Asian Cup after South Korea was beaten by eventual champion Qatar in the quarterfinals. He started the 2-1 win over Watford and played the whole game, with Tottenham manager Mauricio Pochettino saying Son came off the field with cramp.